Each state and territory police jurisdiction across Australasia and the South West Pacific Region honours those who gave their lives serving their local communities. On this day we also remember the feast of St Michael, Patron Saint of Battle, Security forces and Paratroops and we look to him to protect and keep safe our members as they continue to service the community 365 days of the year. All officers and their families know that policing can sometimes be a dangerous job but when a life is taken, the "police family" pulls together to support and care for one another. When tragedy strikes, WA Police Legacy is there to offer more immediate and direct assistance to the spouses and their loved ones. For all ceremonies a blue and white chequered ribbon is worn to remember those fallen members and to take strength in the knowledge that their memory lives on in our hearts. For information about the WA Police Academy Police Remembrance Day Ceremony, contact the WA Police Academy on (08) 9301 9500. 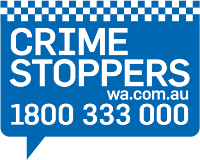 Please contact your local police station for details of other ceremonies being held throughout Western Australia.